Grease Monkey Autos - Garage/Vehicle Services based in Hunston, West Sussex. 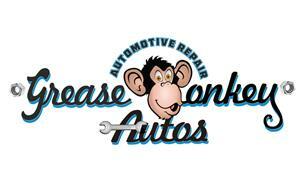 Grease Monkey Autos, Vehicle Garage in Hunston Chichester, Servicing and repairs. My name is David I've had many years of experience as a mechanic and I am City & Guilds qualified, and having worked as a general mechanic, MOT tester and a RAC engineer for 12 years, I have decided to set up Grease Monkey Auto's, in which has been established since 2014 from my home based workshop located in Hunston, Chichester. I take immense pride in providing a personal and high quality service at a reasonable price. I will even pick your car up and drop it back to you when I have completed the work. My workshop is located just off the Selsey Road.